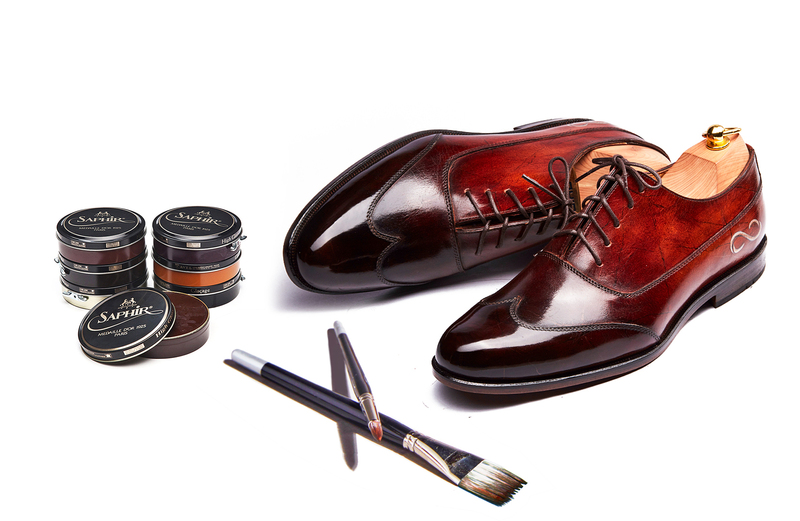 1) Use high quality cream and wax regularly on your custom shoes. 2) To wear the shoes, use a shoe horn to hold the shape and care better for your patina shoes. 3) To keep your patina shoes in the best condition, we highly recommend the use of shoe trees after wear.